Slatwall panels can help define your business, giving you an edge over your competitors. They allow maximum product exposure with versatility, critical to your business success. Or use them in an office environment to transform plain walls. Applying the multitude of metal and acrylic slatwall accessories available, combined with the ease of installation, slatwall offers an amazingly efficient way of displaying an unlimited range of items – whatever their shape or size. If you are after a specific accessory which is not available on our website, then please contact us as we are able to source all types of shop fittings. Also known as Slot Board or Slat Board, Slatwalling is a cost effective display solution with maximum impact. Since our Slatwall Boards are UK manufactured to order, we offer a bespoke cutting service, producing a slat wall panel to your requirements. 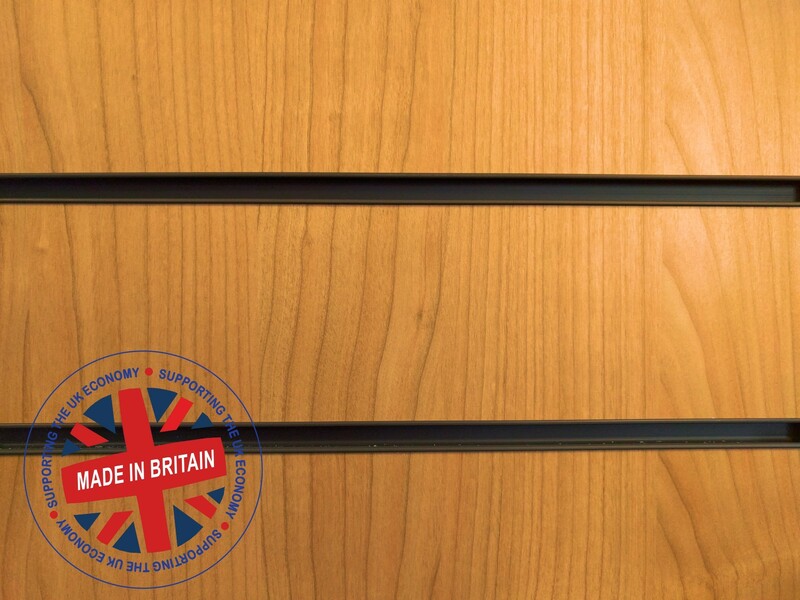 Our Slatwall panels are manufactured in the UK with computer controlled precision from top quality 18mm thick EU MDF with an extra heavy duty melamine face. This ensures our boards are flexible while maintaining stable dimensions, meaning they won’t expand or contract – very important for the UK climate! 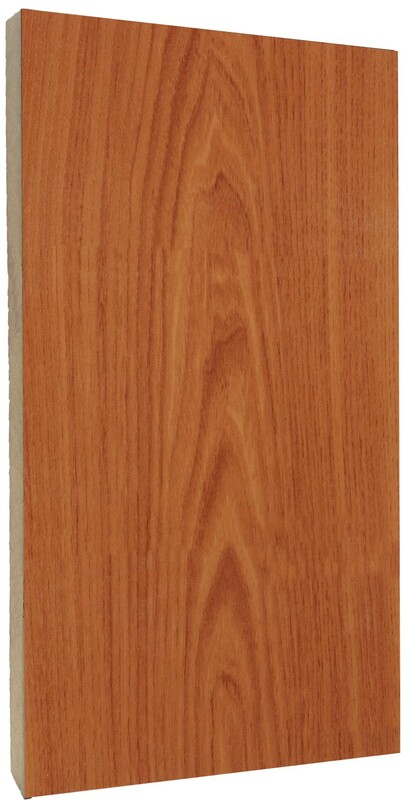 Subsequently, our slat wall boards are highly durable, offering longevity and a great appearance at the same time. Health and Safety are of paramount importance, and all our Slatwall panels are legally compliant to BS EN 622. 4ft x 4ft (1200mm x 1200mm) and 8ft x 4ft (2400mm x 1200mm). The 4ft x 4ft (1200mm x 1200mm) portrait slat wall panel consists of 11 and half slots or slats / grooves that are 4 inches (100mm) apart. 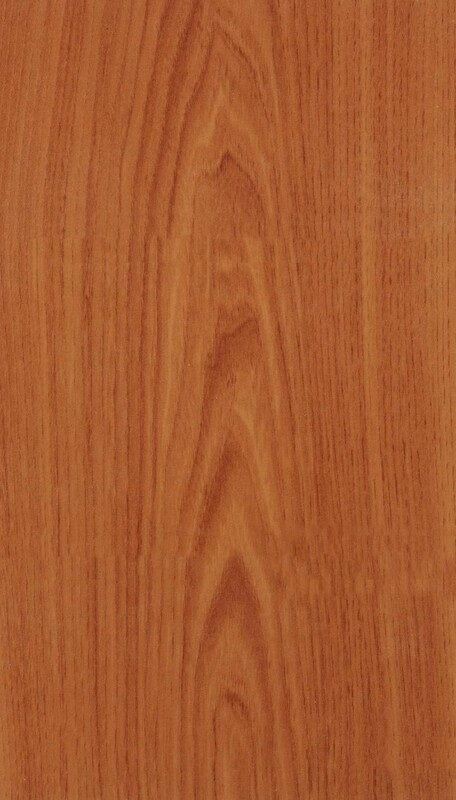 Two portrait panels can be attached top and bottom, with the join in the half groove, to form an 8ft high x 4ft wide (2400mm high x 1200mm wide) panel. In the landscape variation, the panel has 11 slots or slats / grooves which can then be attached side by side. This will make an 8ft wide x 4ft high (2400mm wide a 1200mm high) panel. 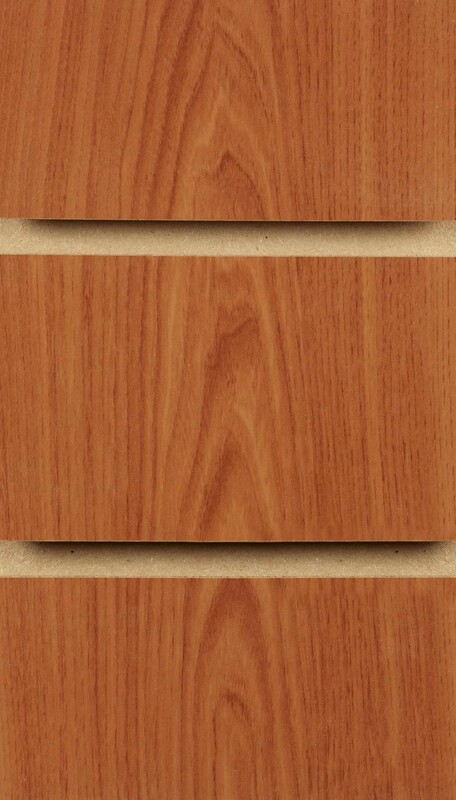 Slot or Slatted Panels can be easily installed on to a wall using the right screws and wall plugs. However, it is highly recommended to use wooden battens, spaced 600mm apart, to fix your Slatwall. 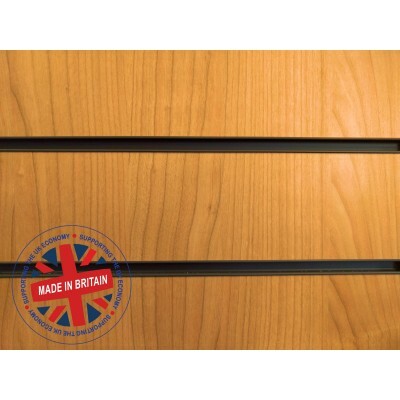 We recommend you purchase slatwall inserts to lift your display and strengthen the slats / grooves. We have a wide range of high impact PVC plastic slatwall inserts available in a variety of colours that give your displays an extra edge, but for extra strength we recommend aluminium inserts. Due to the size and weight of 4ft Slatwall Panels, and to ensure a safe delivery, they are delivered to you on a single pallet. Please click the delivery tab for more info. If you have any questions, then please call us on 0161 726 5969. Your order will be delivered direct from UK factories within 1-5 working days, unless stated otherwise. Please contact us before placing your order if you have a deadline for delivery or you want to arrange a specific day etc. With the exception of Slatwall Metal and Acrylic Accessories, all goods are manufactured to order. Small items such as Slatwall Metal Accessories, Slatwall Inserts etc. These are delivered for a flat rate of £24.95 + vat to most of the UK. 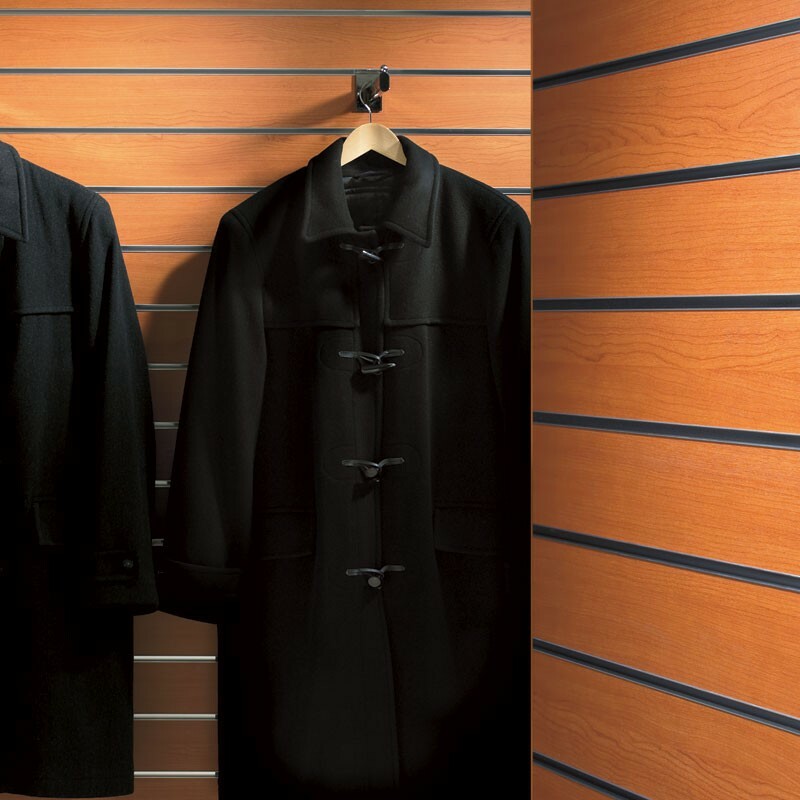 Large, bulky, and heavy items such as Slatwall Panels, Display Units, Gondolas, and Changing Room Cubicles. The cost of pallet deliveries will depend on the size of the pallet and post code; these are shown in the table below. Slatwall panels are large and bulky items, which can ONLY be delivered on a single pallet (4ft x 4ft panels) or a double pallet (8ft x 4ft panels). Whether you order one panel or twenty, the cost of delivering a pallet remains the same. There may also be additional charges if the number of boards or items exceeds the maximum weight or volume capacity of a pallet. Our delivery times are Monday to Friday between 8am to 6pm – unfortunately, we are unable to specify a precise delivery time. We can offer an am or pm service for a surcharge. All palletised deliveries, will require TWO persons for off-loading. Pallets are strapped with metal or plastic strapping, so you must have tools (pliers or wire cutter) that can cut through this. The driver is only obliged to deliver kerbside. We require a signature for all deliveries, and all deliveries should be CHECKED thoroughly to assist with any claims. In the rare event of any damage to the goods – please bring to the attention of delivery driver and sign the delivery note indicating “DAMAGED” items. Also take photos of the damage. Any damages or shortages must be reported by 12pm the day following delivery. Failure to report under this term will result in no obligation by UK Slatwall Panels. Please provide a contact number and note any delivery restrictions during checkout, this is especially important if your delivery address is unusual or difficult to find or has timed restrictions. Remember, pallet deliveries are often made with large articulated trucks, so will not be able to go on narrow streets. Any non-delivery WILL incur a re-delivery charge. © 2005 - 2018 UKSlatwallPanels. All Right Reserved.